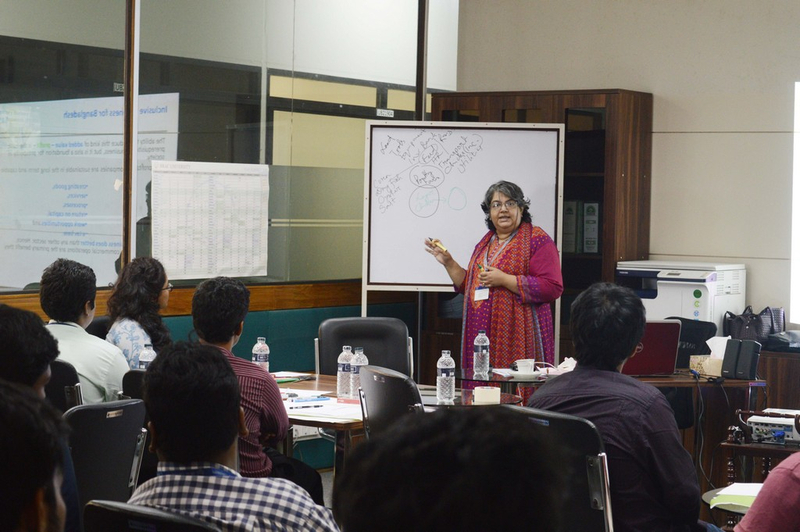 Centre for Entrepreneurship Development (CED), BRAC University organized 2 workshops titled â€œInnovation Workshopâ€ on 28 July 2016 and 30 July 2016 respectively. The workshops were aimed at developing the entrepreneurial knowledge and innovation ideas of the registered participants of â€œCED Entrepreneursâ€™ Denâ€, a package of entrepreneurship development program organized by CED. The participants of the program consisted of the graduate students and alumni of BRAC University. â€œCED Entrepreneursâ€™ Denâ€ program is intended to simulate the real-world situations where aspiring entrepreneurs have to organize and develop their business ideas through innovation workshops, boot camp, business plan development to market their visions, create a strategy for executing plans, and deal with rejections; finally, by participating to the Business Plan Competition (Round 3, 2015-16). Organizing these workshops is the first step of CED Entrepreneursâ€™ Den program followed by boot camp, workshops on business plan development, and the final presentation on the business plans by these aspiring entrepreneurs. 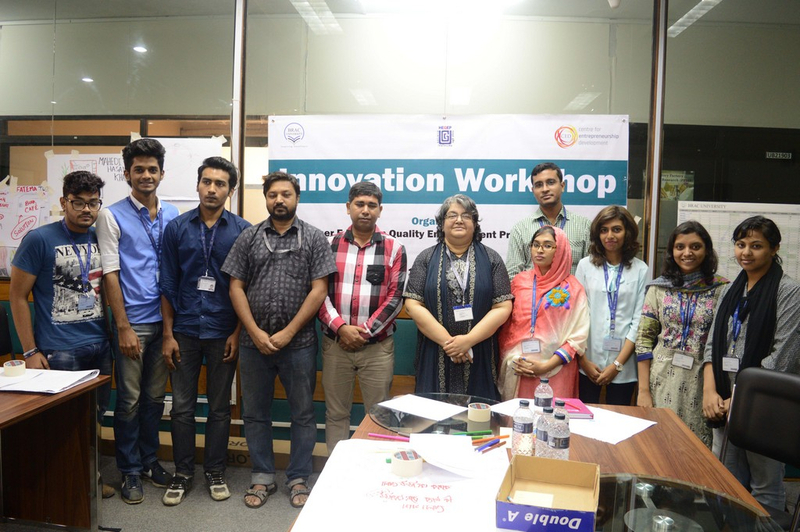 The workshops were facilitated by Ms. Parveen S. Huda (Visiting Faculty, BRACU), Mr. Syed Najibullah (Senior Project Coordinator, CED, BRACU), and Mr. Imtiaj Uddin Ahmed (Program Officer, CED, BRACU). The coordinator of the program was Mr. Mofazzol Karim (Program Officer, CED, BRACU).